This 4 piece Heat Shield/Sound Deadener is a major upgrade over your stock setup for your 1993-1995 SVT Lightning! Insulate the floor of your 1993-1995 Ford Lightning with this ACC heat shield & sound deadener kit! 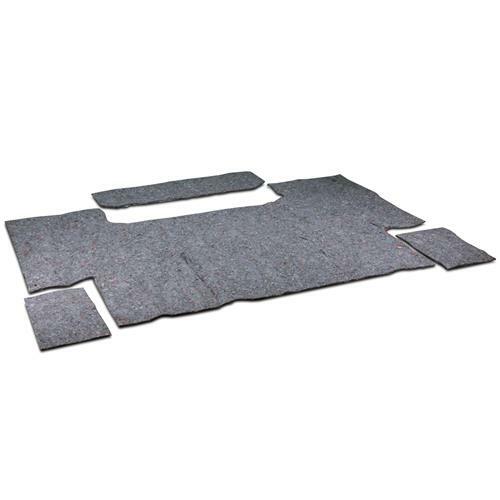 If you're replacing your carpet, you'll want to install this 4 piece kit first! This kit not only has a sound deadening piece that is much thicker than stock for increased noise reduction, but also has an aluminum heat shield that faces down on the floor to reduce heat from the transmission/exhaust! Jute sound deadening material works to help insulate road and exhaust noise for a more pleasant ride. ACC jute sound deadening meets federal standards for flammability retardation. It’s the perfect beginning when replacing your carpet and to increase the comfort of your Lightning!